Due to Japanese Custom’s regulations, a maximum of one bottle per order can be imported into Japan. Melatonin, at 20 mg per capsule. 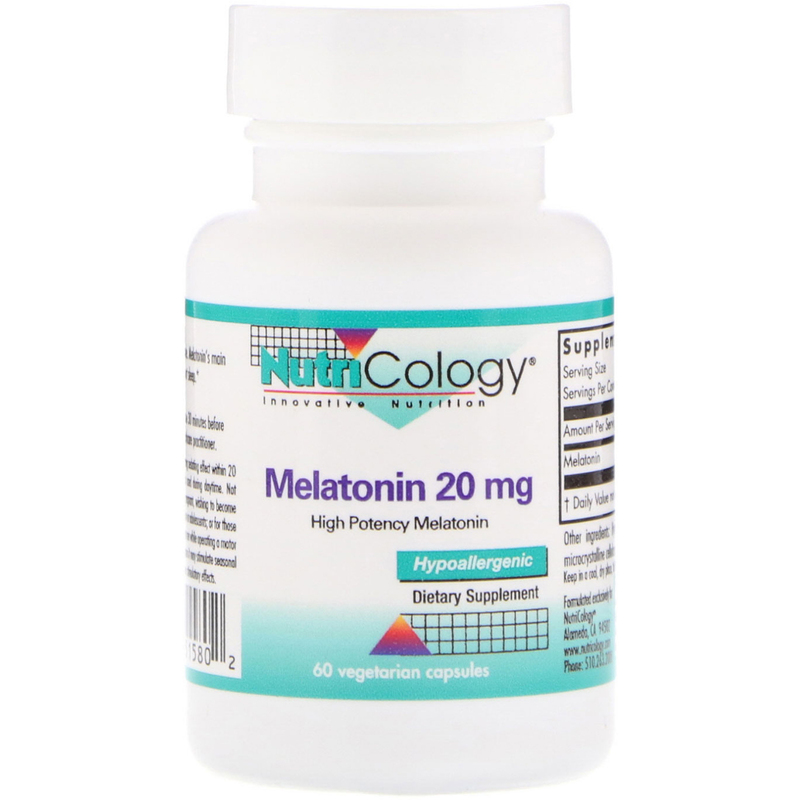 Melatonin's main function in the body is to support sleep. 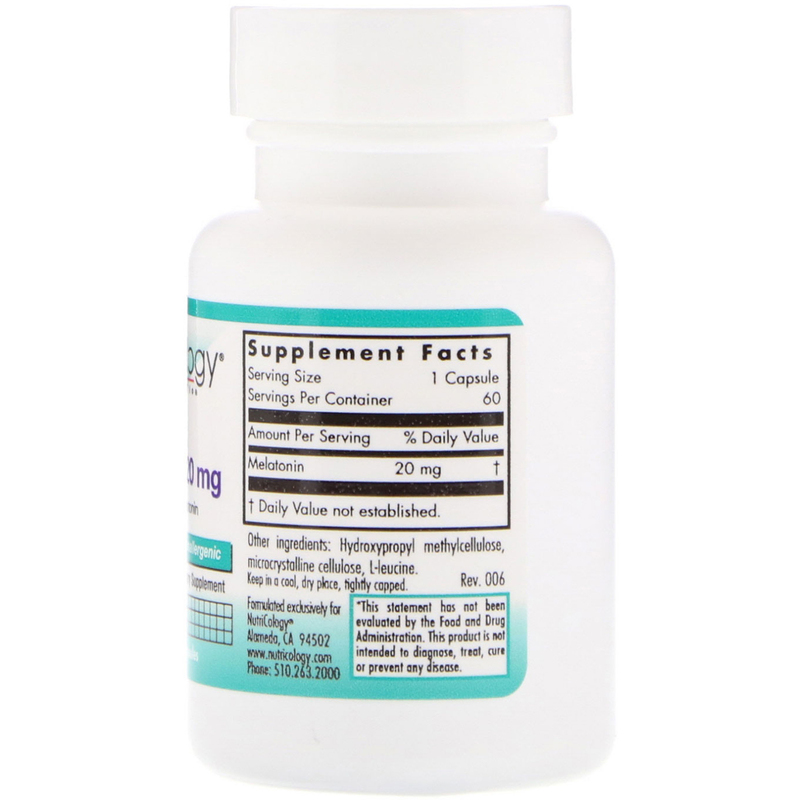 As a dietary supplement, 1 capsule 30 minutes before bedtime, or as directed by a healthcare practitioner. Melatonin may have a strong sedating effect within 20 minutes of consumption. Not to be used during daytime. Not recommended for women who are pregnant, wishing to become pregnant, or breastfeeding; for children or adolescents; or for those with a prior history of seizures. Do not use while operating a motor vehicle or other machinery. In rare cases it may stimulate seasonal affective disorder, depression, or have stimulatory effects.